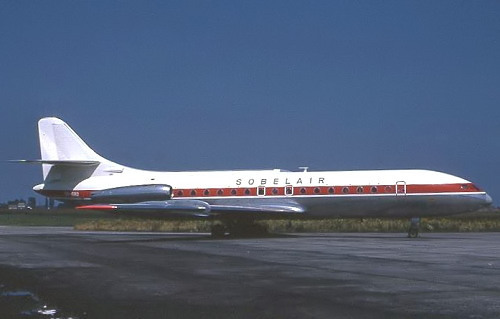 Description: Sobelair fourth Caravelle was delivered during May 1971 at Brussels still wearing Swiss registration "HB-ICU" and in the basic colors of previous operator "Swissair". Description: on July 8 1971, it was written in the Belgian register. 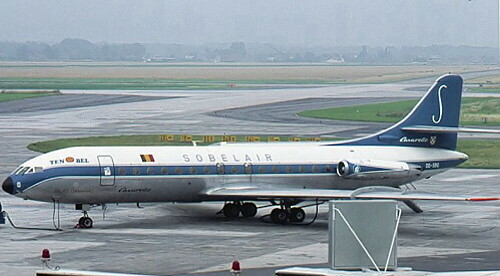 Description: repainted in Sobelair's full color scheme during February 1972, it carried additional "Ten Bel" titles of a Belgian tour operator. 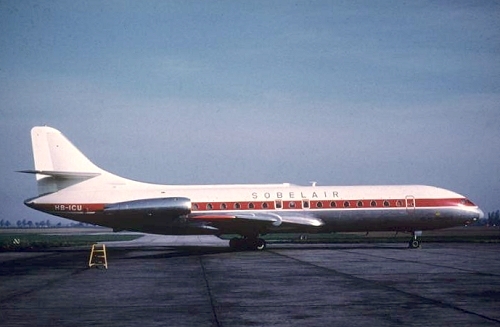 The airframe remained operational till June 1974.